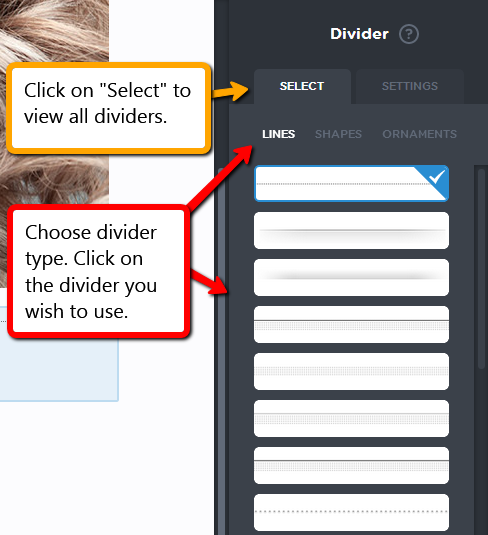 A divider is a horizontal design element that divides your content into sections. 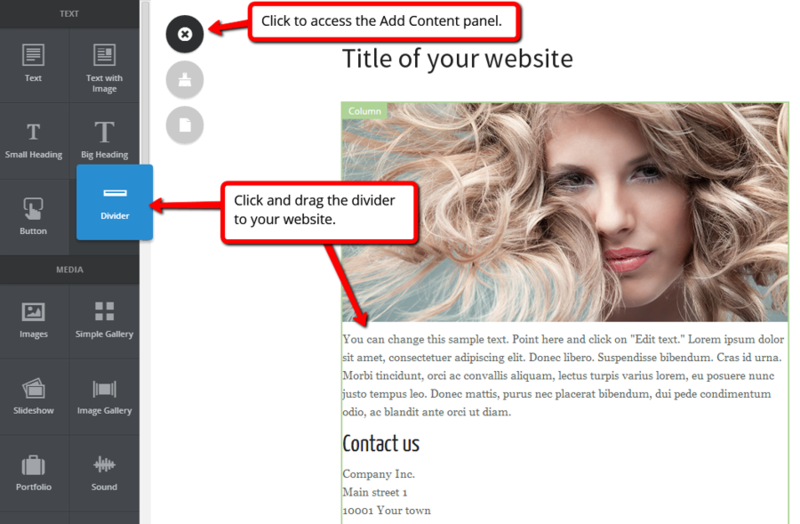 You can choose between different divider designs, or use a blank space to separate your content. 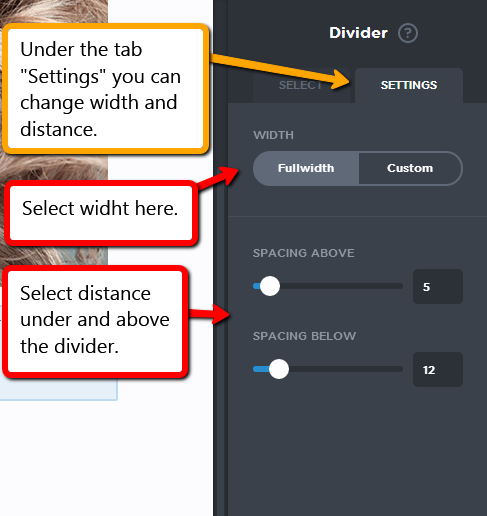 Step 4: The tab "settings"
Use e.g. if you would like en an empty space between two blocks. 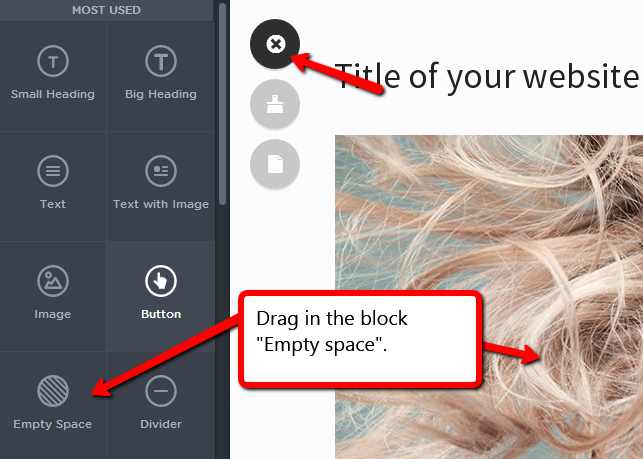 Note that "empty space" is a separate block (see below). This is how you change the height for the "empty space" block.